What I love about our sense of smell is that it never lies. It knows what it likes and there’s no denying it. Case in point – sometime ago, I featured a bottle of Prada’s Amber Pour Homme Intense in a piece I wrote for Complex magazine and while I liked it very much, I didn’t wear it with any regularity. Every now and then I’d spray it on and go about my business. One particular day, perhaps a day when I wasn’t rushing out of the house, I noticed its scent five or so minutes after applying it and I said to myself, “man this is good.” Later in the day, I wondered what smelled so good and remembered what I was wearing and realized it was only getting better. In that moment I wondered why I wasn’t wearing it more often and it dawned on me, that when I was in a jam on what scent to wear for the day, Prada Amber Homme Intense had become one of my go-to scents. 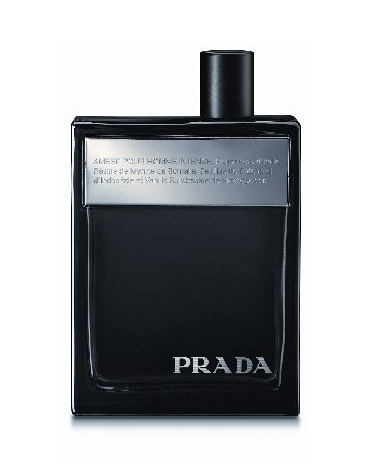 In its simply designed, dark colored bottle, Prada Amber Homme Intense is slick. It opens with a fresh, zesty punch, which is perhaps where the intense part comes in. It quickly settles down but the brightest parts of the opening remain…that’s slick. It also possesses a honeyed sweetness that balances out those spices, which I quite like. It’s smoky and resinous and to my surprise, as it develops, I begin noticing its fougere characteristics. What I really like about this one is how close to the skin it sits. Its dry down whispers leather with just a touch of sweetness. Prada Amber Homme Intense is polished with confident subtly and I appreciate that. It has a familiar masculinity that reads a bit traditional and I suspect most men will appreciate that. In the West Indian community when a person is departing, they are often told to Walk Good. Gents, you’ll walk good and confidently with Prada Amber Homme Intense. This entry was posted in Fragrance Review and tagged best mens cologne, details, Fall Fragrances, men's cologne, Men's Fragrances, Men's grooming, Men's Scents, mens cologne review, Prada Amber Pour Homme Intense. Bookmark the permalink. One of the best out of the crap inventory at Sephora. Great piece.. I feel the same way about Chanel Pour Monsieur. Its a great classic fragrance that I like but forget to wear. When I put it on, I notice it through out the day and love it more and more. After that I wear it regularly for about 3 weeks and then it slips out of mind again… until about six months later when the cycle starts again. Amber Pour Homme Intense is one of my favourite perfume, Prada being my number 1 when it comes to high-end mainstream perfumery. It’s a good one. Thanks for stopping by.